New York Magazine. Emily in New York Magazine. HD Wallpaper and background images in the Emily Deschanel club tagged: emily deschanel actress photo. 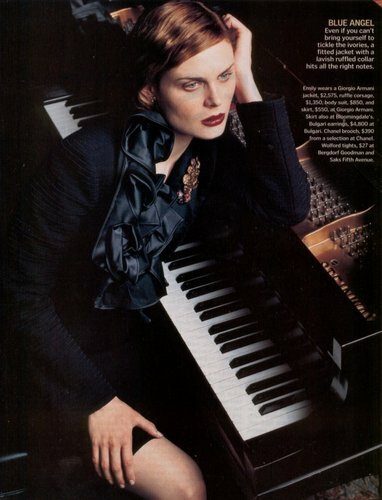 This Emily Deschanel photo might contain grand piano, grand, pianist, accompanist, accompanyist, piano, pianoforte, and forte piano.